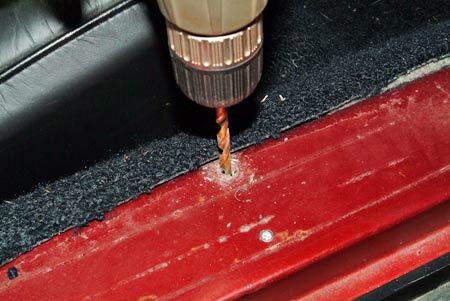 When restoring any classic car it's not uncommon to find bad sill panel mounting holes when you take the old panels off; this can be caused by rusting, the old screws not coming out and requiring drilling or just having stripped threads. Regardless of the cause, you'll have to repair the holes before you can properly install new sill panels, and inserting new thread inserts is an excellent solution. Here's how to do it. 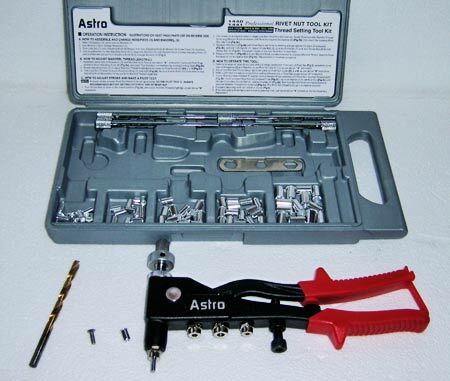 A rivet nut thread setting kit like this one from the Astro Pneumatic Tool Company is just the ticket for this and other repairs to your vintage vehicle when stripped screw holes are encountered. You'll also need a drill and the appropriate-sized bit for the thread insert you intend to install. You can determine the right size insert by finding the one(s) that have the same thread as the screw you intend to use. Using the correct size bit, drill a hole for the insert to go into. Put the insert in the insertion tool using the right size collet (follow the instructions supplied with the tool) and insert it into the hole you drilled. While pushing down on the tool, squeeze the handle to set the insert in place. 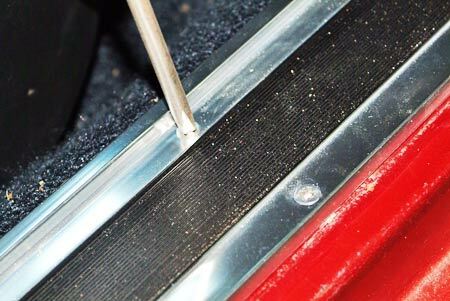 The whole scheme is very similar to setting a pop rivet. 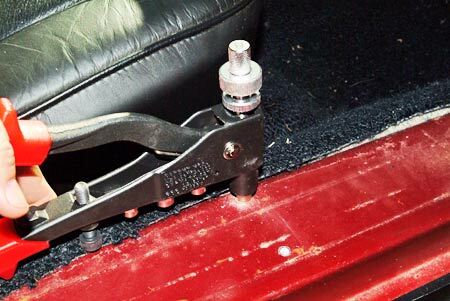 Here's the sill of a 1967 Corvette with inserts in two of the holes. 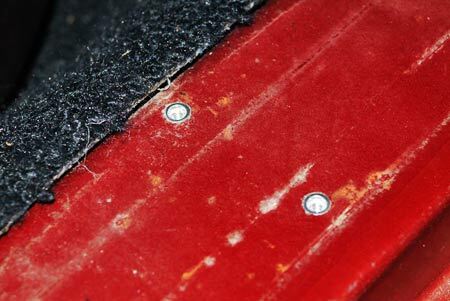 Be sure to clean up any stray metal particles created by drilling before you install the new sill panels. And all that's left to do is install the new sill panel, securing it with screws in the newly-threaded holes you just fixed. A simple yet elegant fix.